Happy New Year everyone! 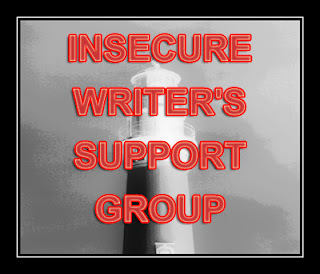 It's the first Wednesday of the month, which means its time for my post for Alex J. Cavanaugh's Insecure Writer's Support Group -- which I'm combining with my 2012 wrap-up and a peek ahead to next year. Just in case you've spent large amounts of time under a rock this year and not familiar with what IWSG is all about, just click on the badge above to become enlightened. Although not a big believer in resolutions, I am a proponent of pausing at years end to take stock of how far I've come so I can gauge my progress, as far as my writing is concerned that is. My theme heading into the year was making it uncomfortable in my comfort zone, and I'd like to think that my results prove that discomfort can lead to growth. 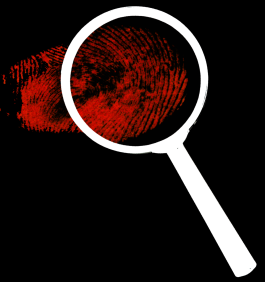 Blog-wise, 2012 was a huge success. I posted 165 times (most ever), which garnered me a whopping 49150 site hits, 6000+ comments (avg of 40 per post), and propelled me over the 1000 follower mark. 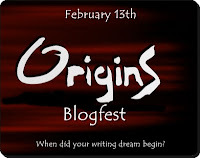 My Origins blogfest pulled in 212 participants, and I participated in the A to Z Challenge for the first time (as well as co-hosting) and thoroughly enjoyed it. But it was WRiTE CLUB 2012 that was a monstrous achievement, but not without its cost. It gobbled up all of my free time, energy, and pulled me away from both the blogosphere and writing time. My biggest success, by far, is the wealth of relationships I continue to reap the benefit of via this blog. All of you are pure awesomesauce, and I don't know what I would do without your support! My other project's were a mixed bag of results. I began querying FALLEN KNIGHT last year, and despite a couple of requests for fulls...it remains unclaimed. I did have a short story picked up for publication (coming out in early 2013), and I did finish the first draft of my 3rd novel...which is my first venture into the YA arena, so overall I'm pleased with my progress because I can definitely feel a forward momentum heading into the new year. But life has decided to intercede and throw my family a curve ball for 2013. For an indeterminate amount of time, circumstances will require that most of my energy be focused on my family. That doesn't mean that I'm dropping off the radar (again) or giving up on my dream of publication, but for the time being I may not be able to give it the attention required for ultimate success. Don't fear, my resolve is as strong as ever, and so is my patience. And to tie this back to the theme of today's post, if there was one piece of advice I could give to an insecure writer, whatever the circumstances, is that calm patience will prove to be your best friend...if you can learn to develop it. I hope you and your family are all right. Family definitely comes first. Do you have a 'challenge' theme for this year, or are you going to continue in the vein of last year's? We all know family is most important. I hope 2013 will be a great year for you. Patience is the collective theme for 2013. And never fear, we'll still be here when you get back. Family first. Happy new year, DL! Sounds like you're full of positive energy and that will provide you with a continued forward momentum. Go get'em! OH, DL, I hope your family issues aren't too serious, but just requiring attention. Sending you blessings and virtual hugs. Yes, family does come first. Hope everything is okay with you and the family. Will be sure to keep you all in my thoughts and prayers. Take care, DL. Ooh, I didn't know you wrote a YA. Also, best wishes or you and your family. I hope everything goes well. Sounds like 2012 was pretty awesome! Family first, there is nothing wrong with that. Do what you need to do. We'll still be here. 2013 is going to be a rockin' year! Family comes first. So, we understand that you'll be away but will treasure every post you write. Best wishes for 2013. Hope all goes well for family. Sadly, Patience is not one of my virtues, as evidenced by my reaction every time I end up in a line! Hope that curve ball doesn't sting too much. I love how many of us writers make resolutions. One of my friends just the other day was ranting at what a "waste" new year's resolutions are. She apparently thinks that if you're going to do something, you just do it. And no, she hasn't written any books. I'm sorry, DL! Family always comes first though. You're not on a deadline though. Still time for everything. I'm sorry about the family life curve ball - I hate those. I hope you are able to resolve everything in a way that brings you happiness and that you can still find time to pursue your passion. Happy 2013!!! We will miss you, but we'll still be here when you come back. I hope things resolve themselves quickly and with a positive outcome. Anyways, Happy New Year! Good luck with the family stuff. You had an awesome 2012, and I hope 2013 is even better. You had an amazing blogging year, and it sounds like you're really making progress with writing. That forward momentum thing you're feeling with your writing? That's huge. Sorry to hear that you'll be posting less, but as the above comment mentions, family's gotta come first sometimes. And hopefully you'll still be able to get in hours for your personal writing. Happy New Year! Don, I hope everything is okay. You know I've got your back and can always lend an ear if you need one. And I have a good feeling about FK this year... keep at it! Happy New Year! Hope everything goes well with the family! Hope all goes well with the family. Great advice to insecure writers everywhere and congrats on all your success! DL, family comes first! Best wishes in 2013! Focus on your family, DL. We'll be here whenever you have time for us. Family always comes first. Do what you need to and we all will understand. Blessings to you and your family in 2013. I hope all is well. Awww hey we all need to do what we need to do! Here's to patience and resolve! You did have a very productive 2012. Good thing patience is one of your virtues because it really comes in handy in this writing business. Hope you and your family have another wonderful year and I'll be seeing you around the blogosphere. First, super congrats on the short story pub! That's awesome, Don! And you are so right about the calm patience. It IS a must in this business. Hang in there with the querying! You'll get there. 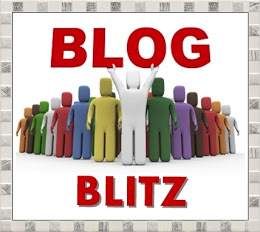 FANTASTIC job with the blog! Write Club was HUGE! And you should be very proud of that. It sounds like you had a wonderful 2012. I hope everything will be okay with your family. Happy New Year! Write Club was awesome. 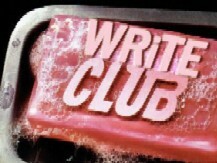 I did spend a lot of time under a rock in 2012 and missed a lot of the Write Club bouts. I am eager to read your story in AHL4. I finally got my re-writes back a couple weeks ago; I was slow turning it in. I hope your edits (if any) were easy to manage. Best wishes for your family needs Don. It is important to be there. Good luck with your writing projects in this next year. Calm patience is definitely a writer's friend. I hope your family is doing okay. I hope it doesn't sideline you much. We missed you for the months of Fight Club. and patience is a must, we will patiently wait for your posts as you can get to them! hope its a happy 2013! Yeah, patience is key for a writer...lots and lots of waiting at every stage. But you'll never regret putting family first. Good luck with what you have in front of you. Sorry to hear about the curve ball. I hope whatever it is gets better soon. Thinking of you and your family.